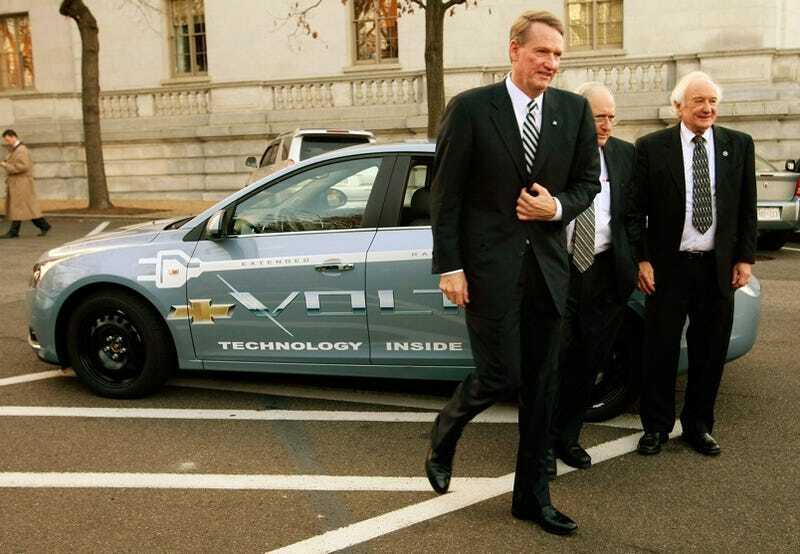 GM CEO Rick Wagoner just showed up to Capitol Hill driving the Chevy Volt mule. No clue where the other CEOs are. We kind of hope the Chrysler Aspen hybrid carrying Bob "The Builder" Nardelli made it. Ford CEO Alan Mulally may have accidentally gone to the Senate Armed Services Committee, so someone should check up on him. "It's very important for the U.S. to have a home team in the global auto industry..."